Car insurance is a requirement in order to be able to operate a motor vehicle on all state roadways in the U.S. legally. Auto coverage rates can fluctuate depending on several factors. While most drivers know that navigating carelessly or recklessly can result in increased monthly auto insurance premiums, many do not know that several factors can decrease the price as well. The experts at Car-Registration.org have taken the time to outline a few different factors that will affect your car insurance premiums below. Your history as a driver is the top deciding factor when your car insurance provider determines your premium. If you are a safe driver with a clean driving record, chances are providers will offer a low auto insurance premium. On the converse, if you have three speeding tickets, two at-fault accident citations and several moving violations over the past five years, you can anticipate a larger auto insurance premium cost from your provider. In order to keep your auto rates low, the team at Car-Registration.org recommends remaining a driver in good standing if you already are or working toward obtaining a good driver standing if you are not. You will see that in three years’ time, if you prove you are a responsible driver, your premium will go down. Another factor that determines your monthly car insurance premium is your location. The city in which you reside plays a large role in your car insurance premium. Why? The experts at Car-Registration.org attribute this fact to the traffic congestion and patterns in your area. If you reside in a heavily populated area where many drivers commute, you are likelier to get into an auto incident in comparison to someone who lives in a rural, remote area. That said, if you relocate from the heart of the city to the outskirts or the suburbs, you might find that your auto insurance premium goes down, even though you remain in the same state. 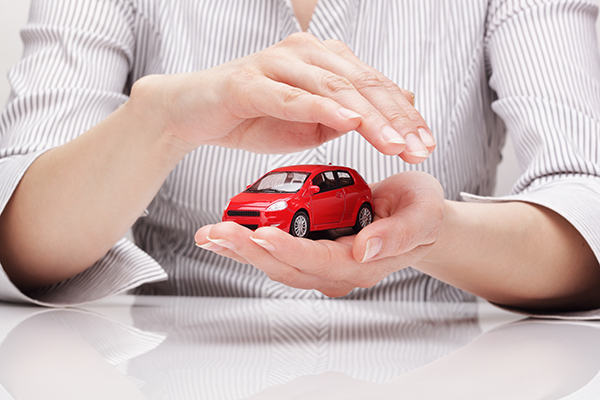 Did you know the type of car you drive could affect your insurance rates? The team at Car-Registration.org reminds you that this is not a negative aspect, but a positive one. Nowadays, car manufacturers are implementing more and more safety features in vehicles. For many, you do not have to pay top-dollar. If you decide to lease or to purchase a new car with exceptional safety features, you might happily watch your car insurance premium decrease when you submit your new VIN to your provider. Even though your car payments might increase with your new vehicle investment, hopefully, a lower car insurance rate will help even things out financially. In addition, if you are student, you can send in proof of school enrollment, which providers may consider for a discounted premium.